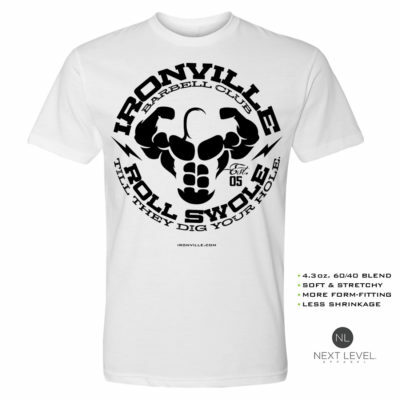 Killer Weight - Skull & Barbells Archives - Ironville Clothing Co. This is our simple yet sinister Killer Weight design. On our cotton t-shirts you can choose the front or back side for where the skull and barbells will be printed.